Since launching Pivot in 2007 the company has continually pushed the boundaries of what is possible in bike design and technology. Pivot works closely with partners like Rock Shox, Shimano, Fox, DT Swiss, Maxxis, WTB, KS, Reynolds and of course Dave Weagle (dw-link®) as well as many others within the sport to achieve the goal of developing a better bike (not just a better Pivot frame) and it shows in the current generation of Pivot products. Pivot is a technology and performance-driven company but advancing technology is not why they exist. The goal is simply to build the best-performing cycling products in the world. 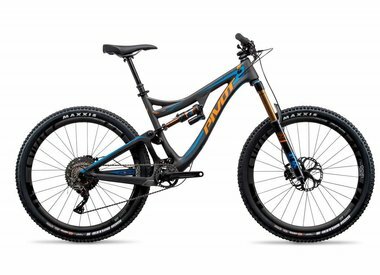 Whether you buy a Pivot based on a review or test ride, you’ll experience the dedication, passion, engineering, and attention to detail that makes Pivot bikes and products so awesome. When you're ready to throw a leg over a Pivot, give us a call to schedule a demo ride. 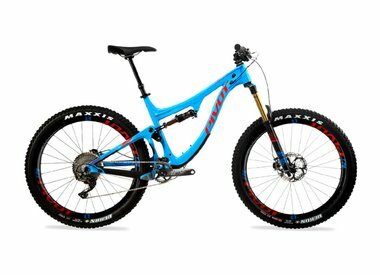 We keep a fleet on-hand so you can test-ride before you buy. Call us at 208-947-0017 for more details.